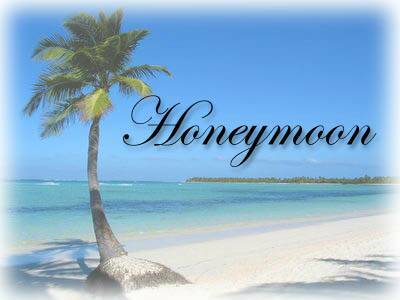 Without a doubt, your honeymoon needs to be a lifelong memorable, most amazing, relaxing experience of your life. But I guess you don’t know where to start when it comes to planning? We’re here to help you. First of all; your first step should be to do plenty of research on the internet. There’s a wealth of information about honeymoon packages to almost any destination in the World with your budget in mind. Nowadays, a strong trend shows that couples are taking longer honeymoons – a typical 7 day honeymoon travel is now more likely to be a 12 day with more couples even stretching out to 3 or more weeks combining beach and adventure, beach and city, or even beach and snow. In creating the ultimate honeymoon experience, couples desire privacy and intimacy. Wherever there is any beach, it would also be wonderful to access your own private plunge pool. Wouldn’t it? A good tip to choosing a honeymoon destination is to choose somewhere you both haven’t been to. It will always remain a special place and have a special meaning to both of you. There’s also nothing like a new experience to keep you both excited. You may have the perfect destination in mind for your honeymoon; however, choosing the right time to go is very important. 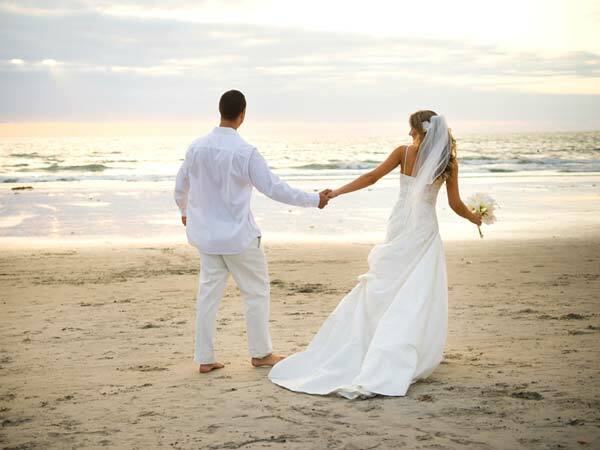 Again, you may need to talk to an expert to seek advice on the best times to go to get the most out of your honeymoon. It’s important to know about seasonal, cultural and local factors that may affect your trip. Planning is important – Not how much you spend. Finally, the perfect honeymoon travel is about planning, not necessarily how much you spend. There are honeymoon packages available to suit every budget. Experts will always ensure that you have the ultimate honeymoon experience no matter how much money you have. Be sure to communicate your personal needs and desires so that experts can do their job to assist you thoroughly. Remember, a honeymoon experience is a once in a lifetime experience. So make the most of it! Make it a romantic event you’ll remember for a lifetime. Enjoy & Best of Luck. Tourism is the largest industry in Nepal and the largest source of foreign exchange & revenue.Nepal is becoming a vital area of tourist attraction in Asia. Nepal’s climate in the course of the year is mainly determined by the monsoon, which results in very high levels of rainfall between June & September, while the remaining months are moderately dry. October-November, the start of the dry season, is in many ways the best time of the year in Nepal. At this time of the year the air is sparkling clean, visibility is unexcelled and the Himalayan views are as near perfect as you can ask. Very few countries in the World can offer as many varieties of adventure tourism packages as Nepal. Of the 14 peaks above 8000 meters in the World, eight are located in Nepal. It is the land of Sagarmatha (Mount. Everest 8848 meters), the highest peak in the World and other 1310 mountain peaks which are opened for expeditions. Nepal is one such country where tourists find all the options to enjoy vacation with style and in a different way to make it truly unique. From the gorgeous greenery to the pristine lakes and waterfalls and from the historical durbars to the revered temples, Nepal tourism has amazing collection of tourist places and attractions. It is the land with temples, it is the land with exotic wildlife parks, it is the land with royal durbars and halls, it is the land with sparkling lakes and green meadows and it is the land where the heaven meets with the earth. 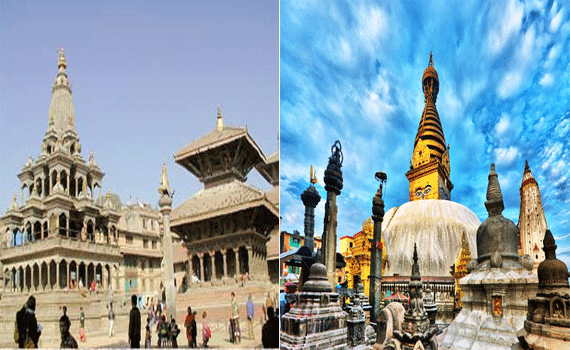 Nepal has Buddhist heritage sites & famous Hindu temples that attract the people from indo-china region and India. Both of them attract people all over the world. It also includes casual tourists as well as researchers. There are so many places those are famous for their distinct architecture, interior and decoration works. Now, if u tell about the top tourist places of Nepal then subconsciously mainly one renowned name appears in mind. Yes, right. It’s the Mount Everest, highest peak of the world. Besides this there is also another 7 peaks of the height 8000 meters. Actually, you can’t compare one place with another place in Nepal , because the places has unique properties of own. 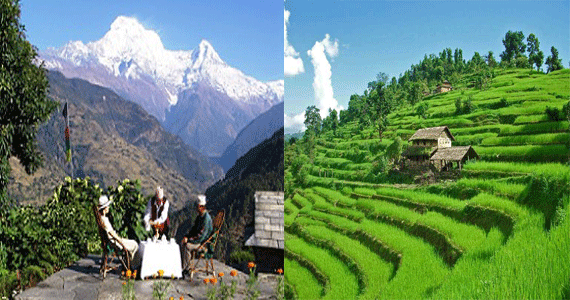 Here I will tell about top three tourist places of Nepal selected by the number of tourist visits & popularity. Absolutely the first one is Mount Everest. 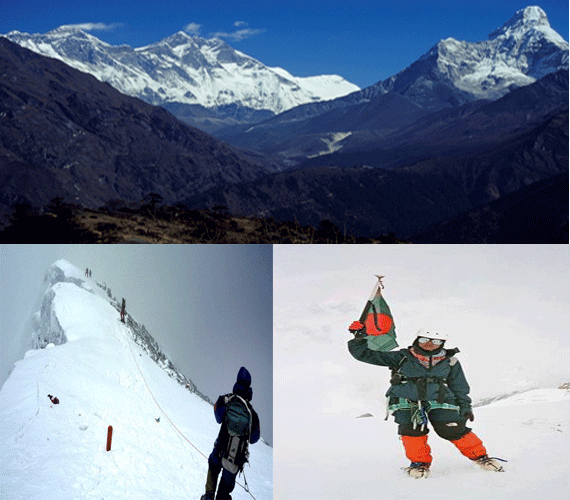 The highest summit on earth – Mount Everest, Sagarmatha or Chomolungma – is 8848m high. The highest mountain in the world attracts many well-experienced mountaineers as well as novice climbers who are willing to pay substantial sums to professional mountain guides to complete a successful climb. The route to the foot of Mount Everest became popular following the, now legendary, first ascent of the peak in 1953 by Edmund Hillary from New Zealand and the Sherpa Tensing Norgay. In 1978 Reinhold Messner and Peter Habeler were the first to reach the mountain summit without artificial oxygen. It is situated on the lap of Khumbu Himal range, Namche Bazaar is about 241-kms. From Kathmandu and the distance is generally covered within 15 days by trekking. This place is the home of the legendary Sherpas. One can fly from Kathmandu to Lukla and Syangboche in the Everest region. The next is Kathmandu, capital of this enrich tourist country. Today Kathmandu has more of a large-city environment than either Bhaktapur or Patan and possesses a more developed urban infrastructure. Among its wealth of historic buildings it can boast the biggest of the ancient royal palaces as well as innumerable Rana palaces and important shrines. 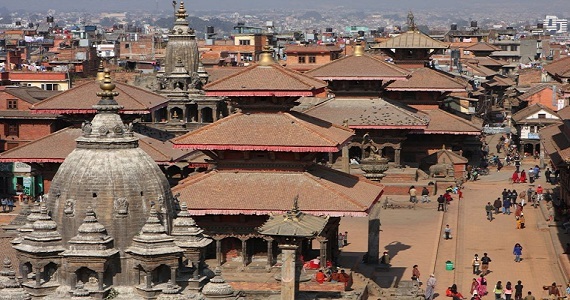 Despite the growth which has made a modern city of Kathmandu, the old center still retains something of a medieval air.Here you will visit the temple of the living Goddess, who acknowledges the greetings of her devotees from balcony of her temple residence, Kathmandap-the source of the name Kathmandu. It was allegedly made from the timber of a single tree. The main tourist attractions in Kathmandu are the Kathmandu Durbar square Swoyambhunath stupa, Bouddhanath stupa and Pashupatinath temple. The Kathmandu Durbar square , located on the heart of Kathmandu is the place to look for most of Kathmandu’s temples, old palaces and interesting old quarter of the city. Here you will see several temples built from 13th to 17th centuries. The important monuments here include the courtyard of the living goddess Kumari, the Taleju temple, the Shiva Parvati temple, Maiju Deval, and the Bhairaba statue. The old palace there served as Royal palace for Nepalese kings for several centuries. On the western corner of the complex is a temple named Kastamandap, made with a single tree, the name Kathmandu is said to be derived from this very temple. Third one is The Black Himalayas and Fewa Lake. Fewa Lake, itself, is natural, but it was enlarged a bit by adding the dam in the 1967. It was built by India and was made of what some called “proto-concrete” (we never did get a good translation…). The Pardi Dam then failed in 1973 (some other sources say 9 years after it was built, others 7 years). Somewhat surprisingly nobody knew of any photos of the old dam or its failure. A few years later another dam was built on a downstream site by the Chinese. There is a hydropower generating station, but it hasn’t been functioning in a while. The director said that the lake management strategy was simple; there was a standard operating procedure of keeping the lake level steady. 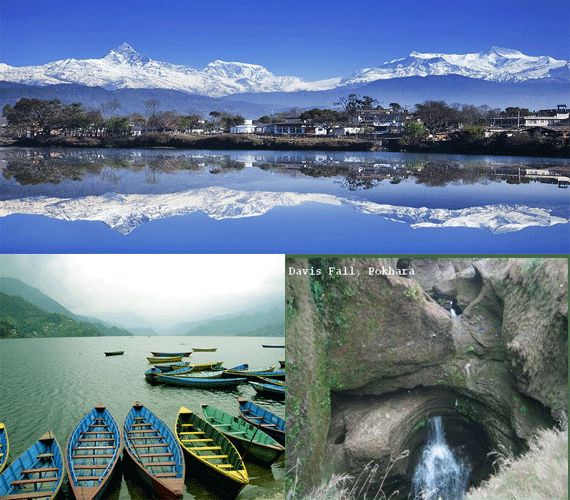 Fewa Lake of Nepal is located in Pokhara Valley. Placid except for occasional spring windstorms, Phewa Tal (nepali name for Lake) is an idyllic playground. Fewa Lake covers area of about 4.43 km2 (1.7 sq mi) with an average depth of about 8.6 m (28 ft). It is the second largest lake in Nepal after Rara Lake in Mugu disrict of Nepal. You can rent the brightly painted wooden rawboats around Lakeside on hourly basis and for the whole day also. Several hotels around Fewa Lake have their own boats. Sailboats are also available but usually there is not enough wind. You may visit those too. So, to pass the leisure time or to change the flavor of busy life you can be in Nepal, country of the ultimate beauty.